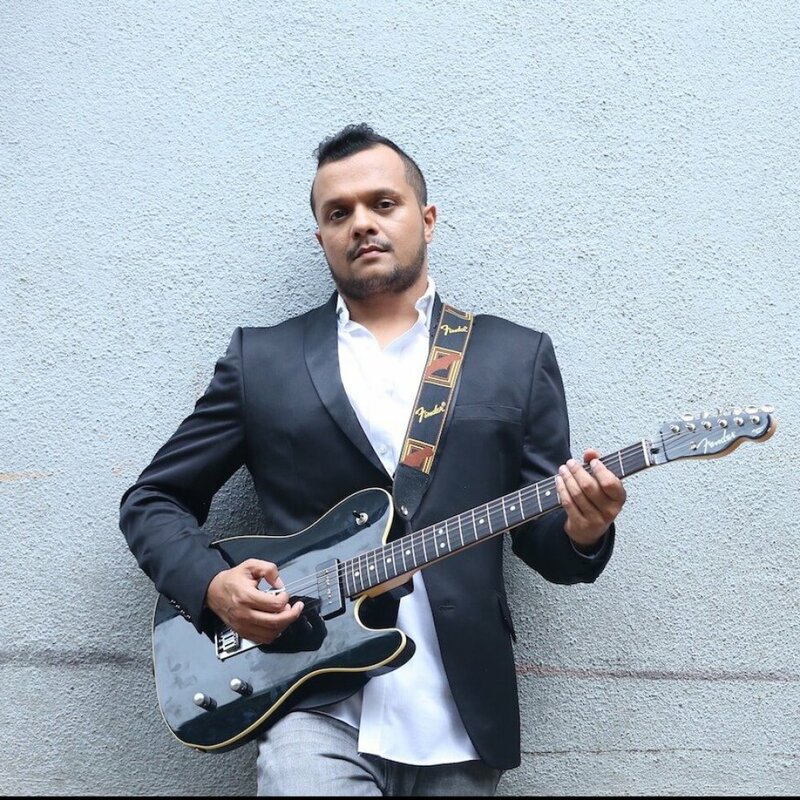 Siddharth Basrur is an Indian vocalist, composer and a playback singer. Over time he has worked with various bands spanning a variety of genres, ranging from pop and metal to acoustic and electronic. On the indie front, Siddharth has featured as a live performer with Karsh Kale, Midival Punditz, Grain, Ox7gen, Sandunes and many others. He has an alternative rock band, Last Remaining Light and they released their album in 2015. He is also a part of the progressive band, Goddess Gagged, who recently played shows all over India in 2016, as a part of the 2 Stroke Tour. Siddharth has recently formed his latest project, Runt, and released his debut EP, ‘Rhymes With’, in June. He is currently working on Runt’s second EP. Basrur has lent his voice to several Bollywood movies like Haunted 3D, Players and David, Happy Endings, ABCD 2, Bangistan, Katti Batti, Shaandaar, Baaghi, Raman Raghav 2.0, M.S. Dhoni: The Untold Story, and more recently, Beparwah, from Munna Michael and Baat Ban Jaaye from A Gentleman. He has also featured on the song ‘Marghat’, composed by music composer, Clinton Cerejo for Coke Studio Season 3. Siddharth added more feathers to his cap, singing the theme song, ‘Hulli Hulli’ for the Kannada Film, Hebbuli, the music for which was provided by Kannada cinema’s most popular music composer, Arjun Janya. He also lent his voice to the song, ‘Karaiyaadhe’ (Tamil), from the Bejoy Nambiar Film, ‘Solo’, composed by Gaurav Godkhindi. Siddharth has even collaborated with comedy troupes, AIB and East India Comedy for a few of their sketches and has sung jingles for many TV ads for composers like Mikey Mccleary, Clinton Cerejo, Dhruv Ghanekar, Sameer Uddin and many more. He has also composed a number of jingles for TV channels such as Nickelodeon, Sonic, and Star Movies, as well as brands like Tata Sky, Acer, Godrej and Surf Excel.